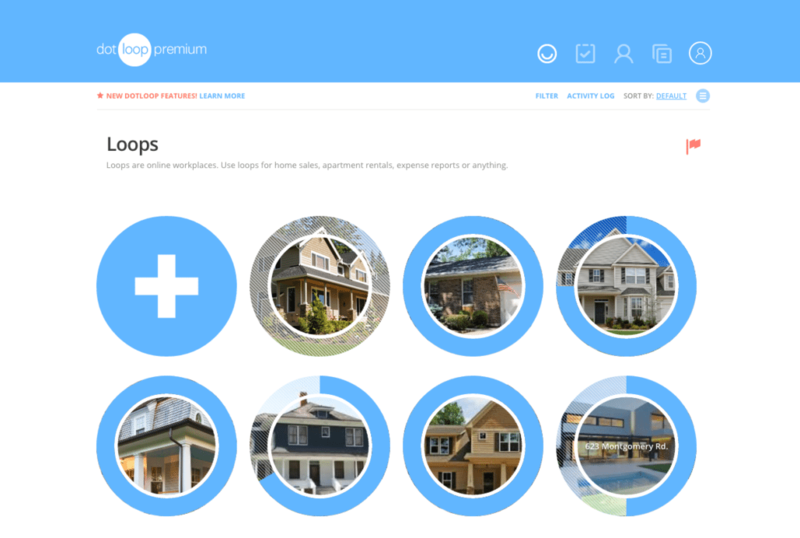 Dotloop is transaction management software for real estate agents, teams and brokerages. 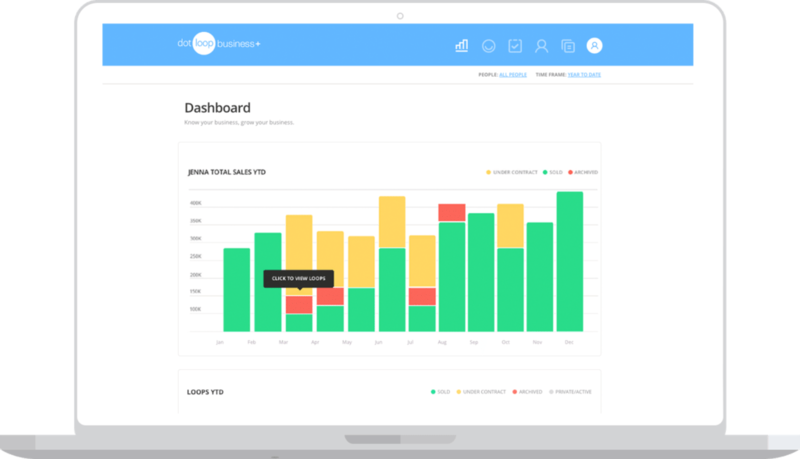 It employs unique visual themes to engage users while managing projects and transactions. It integrates document origination, tasks and collaboration. Visually stunning. No other real estate transaction management solution so smartly addresses the importance of visual cues to how people interact with software. Document creation and management. Going paperless isn’t the point — it’s a byproduct. Document creation, storage, version control, electronic signatures and auditing features are top-notch. Flexibility. Multiple methods of interaction, from email project creation to user view customization, make dotloop effortless to populate. Team members’ hesitancy to adopt digital document process. Users create new Loops — parlance for transaction or project — directly in the software or by sending their account an email with the Loop’s name in the subject line. Attached documents will be waiting upon login. When users originate an email from a Loop, future messages to that contact are then automatically “looped in,” even when sent from within Gmail or Outlook. Increased access to documentation and faster execution shorten the sales cycle of any product. However, real estate’s track record for efficient document exchange remains a black eye on its practitioners. 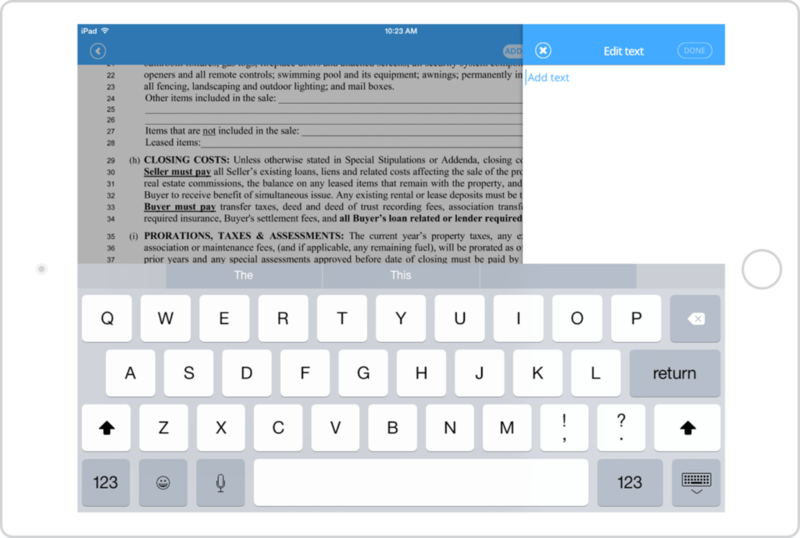 Dotloop’s document origination and digital signature tools help keep the swelling down and have potential to mount a stout defense against that stigma. Any type of listing or sale document can be created from scratch or converted from existing forms, then saved as a template. Redundant data like names, price and address need only be entered once to be populated in all instances, transaction-wide. Signatures can be typed, inserted, finger-signed or drawn with a mouse. They’re also ESIGN-certified, meaning fully secure and bank-ready. Documents are backed by dotloop’s Version Now technology, which archives every change but presents only the most recent document for use. This dedication to eliminating project clutter is part of what makes this software so appealing. Project alerts materialize as dots on each Loop. As tasks are completed and documents executed, Loops fill in, tracking progress. Common tasks can be assembled in lists and saved for repeat use, making it a breeze to start your next Loop. Host In Person Signing is a feature that agents use to ease buyers’ or sellers’ anxiety about electronic transactions. Activating it logs out the agent and carefully walks clients through the signature process. Dotloop’s mobile functionality is an authentic reflection of the desktop user’s experience. Documents can be signed and Loops completed. To the benefit of the real estate industry, the team behind dotloop clearly spent a lot of time in front of a whiteboard before coding. 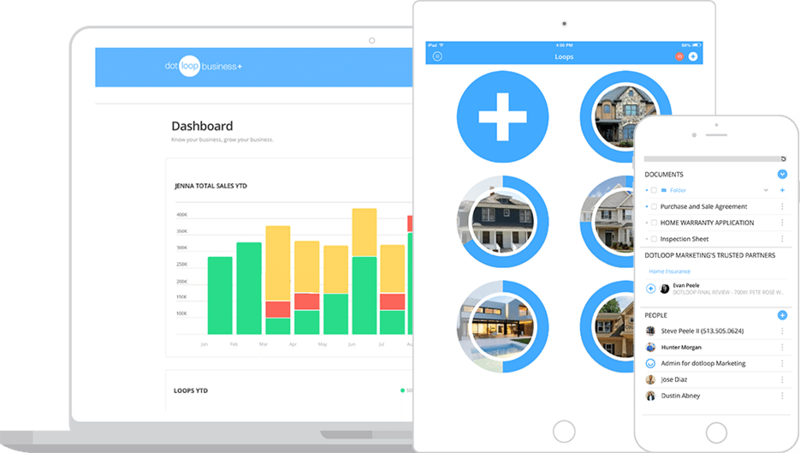 This is very smart, very real estate-centric software that should entice the industry to discover true online transaction management. Do you use dotloop — and what do you think? Leave a comment and let us know!